The internet conglomerate is reported to be in discussions to acquire the high-profile technology news blog. 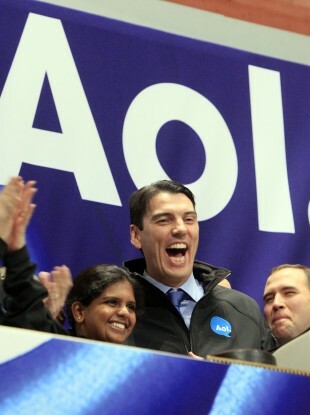 AOL, under new CEO Tim Armstrong, has aimed to acquire more non-branded news sites. INTERNET CONGLOMERATE AOL is in talks to acquire the influential technology blog TechCrunch, according to the Wall Street Journal. TechCrunch, founded by Mike Arrington in 2005, has become a go-to source for news and rumours in Silicon Valley, and has sprung a number of spin-off sites including MobileCrunch and localised sites for France, Japan and Europe. Reports of the discussions mark the second time that AOL would have launched a bid to acquire the blog; previous talks, however, ended without any concrete deal eing reached. AOL already owns TechCrunch’s main rival, Engadget, and has recently hired hundreds of staff writers to create news and entertainment content for its network of websites. It has also acquired two online media companies, Patch Media and Going Inc, in efforts to consolidate its standing in niche media markets, and sold off the underperforming social network Bebo for just $10m – despite having bought it for $850m just two years earlier. Arrington, meanwhile, has often indicated his frustration with the blogging medium and has come in for personal attack for his outspokenness, being spat at while leaving one conference in Germany and having Yahoo! CEO Carol Bartz tell him to “f*** off” earlier this year. He has, in the past, taken time out from running the site. TechCrunch is currently hosting a Disrupt conference in San Francisco, leading to rumours that Arrington may announce the takeover deal live on stage. Email “AOL considering takeover bid for TechCrunch”. Feedback on “AOL considering takeover bid for TechCrunch”.